From 2ndFebruary to 10thFebruary, Lotus Quality Assurance JSC.will be off for Tet Holiday. 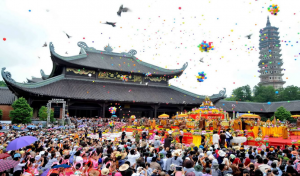 For most Vietnamese people in general and LQA-er in particular, Tet holiday is the most important occasion of the year that contains both important cultural and spiritual values. Tet Holiday in Vietnam usually falls in late January or early/mid February. The dates vary from year to year as it is based on lunar calendar. Tet is the occasion for Vietnamese to express their respects for ancestors as well as welcoming the Lunar New Year with family members. Overall, Tet holiday for Vietnam is a bit like the Spring Festival for Chinese: every family members will get together to have big meals to welcome a new year. 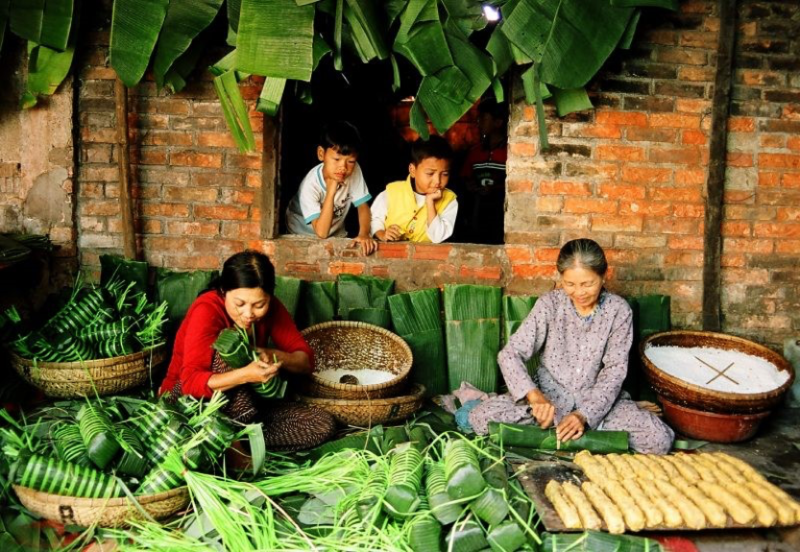 Before Tet, Vietnamese people will have many activities like cook special holiday foods, clean and decorate their house. In the days leading up to Tet, the streets and markets are full of people. As the shops will be closed during Tet, everyone is busy buying food, clothes, and decorations for their house. Vietnamese families also buy home peach blossom trees, kumquat trees, and orange trees. They also buy flowers to decorate their homes such as chrysanthemums or orchids. They plant these flowers and put them into beautiful pots in front of or inside the house. 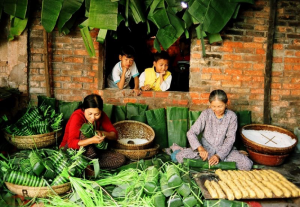 Vietnamese families usually have a family altar, to pay respect to their ancestors. Vietnamese families have a tray of five different fruits on their altar called “Ngũ Quả” (five fruits type). During Tet the altar is thoroughly cleaned and new offerings are placed there. 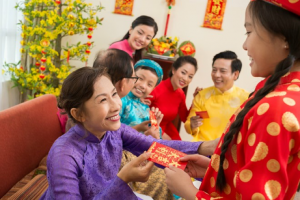 There are a lot of customs practiced during Tet such as visiting a person’s house on the first day of the New Year, ancestral worship, wishing New Year’s greetings, giving lucky money to children and elderly people and opening a shop. The Lunar New Year season is a busy time for Buddhist. Worshippers typically visit the pagodas in the beginning of the year to light incense and pray to the deities for blessings and good luck in the year ahead, the pagodas are more crowded than ever. 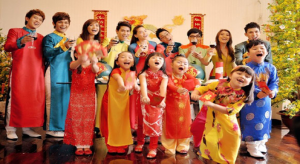 Like other Asian countries, Vietnamese believe that the color of red and yellow will bring good fortune, which may explain why these colors can be seen everywhere in Lunar New Year. Time to Tet is counting down, Lotus Quality Assurance JSC.hopes you enjoy this article and have a great experience during Vietnamese Tet Holiday!